Researchers using government funds have found a novel way of using an old prescription drug to prevent HIV infection. But once again, the government is allowing the pharmaceutical industry to reap the benefits of publicly-funded research, selling out sick patients. It is yet another example of why medicine is so expensive in this country, and it has to stop. CDC researchers discovered a new use for Truvada, a prescription drug approved to treat people already infected with HIV. The new use is targeted towards blocking HIV from infecting healthy people in the first place. The research took years and $50 million of taxpayer money and resulted in government patents for this new use of the drug. Meanwhile the government is allowing Gilead to market Truvada for this new use, and the company is making a killing: sales of Truvada totaled $3 billion in 2018. A month’s supply of the drug costs between $1,600 and $2,000. People who could benefit from the drug are not receiving it: it is estimated that between 10-20 percent of the people who should be using Truvada to prevent HIV infection are receiving the drug. This is due both to a lack of education about the new treatment and the high cost of the drug. It doesn’t have to be this way. 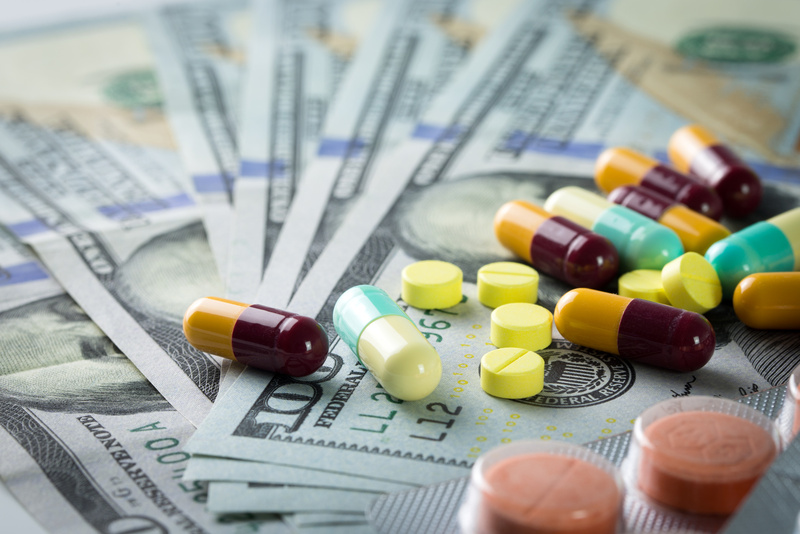 As the holder of the patent for the new use, the government could use its clout to reduce the monopoly pricing that Gilead can charge for the drug, but it hasn’t. “[There is] no reason to believe these patents are not valid and enforceable, and moreover, they seem to be infringed [by Gilead],” said one expert quoted by the Washington Post. “These are public assets that were generated with public money that effectively are going to waste here.” The only explanation for the government’s inaction is they care more about protecting Gilead’s profits than protecting public health. This injustice is in part due to a wider problem: rather than making the fruits of publicly-funded research widely available to patients, the government often hands over its research to the pharmaceutical industry, which then charges exorbitant prices. We’ve seen this legalized theft happen countless times. Universities are also in on it. They get government money to do research, patent any novel inventions that arise from that research, and sell the patents to the pharmaceutical industry. Consumers are forced to pay monopoly prices for drugs that their tax money helped develop. This is par for the course in our crony medical system. Monopolies are created and protected by the power of the federal government for drugs that are dangerous and often don’t work. Meanwhile, natural alternatives to these drugs are harassed and restricted by federal regulators, all in the name of protecting the bottom line of the drug companies. The FDA doesn’t just allow Big Pharma to create monopolies using taxpayer-funded research. As we’ve reported recently, the FDA has also been handing Big Pharma monopolies on supplements. That’s right: FDA regulations allow natural substances previously available as supplements to be turned into expensive drugs. This has happened to CBD oil (which will cost $32,500 a year) and L-glutamine (which will cost $40,000 a year). The costs of healthcare in this country have reached absurd proportions with no signs of getting better. We can’t hope to control these costs if we continue to allow cronyism to mar our health system. One important step we can take to address these injustices is to stop letting Big Pharma turn supplements into drugs. Action Alert! Tell Congress and the FDA to stop allowing Big Pharma to turn supplements into drugs. Please send your message immediately.